The Dallas International Lighting Market is a centralized hub of permanent exhibition space for lighting’s biggest brands. Twice a year, thousands of shoppers and industry professionals descend upon Dallas to discover the latest creations from many of the brightest designers and manufacturers in modern lighting. This year, Lightology went behind the scenes at the January Dallas Lighting Market, the industry’s biggest event of the year. Lightology Showroom Buyer Kara Manning interviewed over 20 top contemporary lighting brands and designers to get an exclusive, inside look at the latest modern lighting trends for 2013. Designers and homeowners alike can watch the video clips and “Best of Dallas” highlights reel to see the brightest designers in lighting today introduce new designs, debut cutting-edge LED technology, and reveal the inspirations that brought these products to market. By compiling a selection of short videos, Lightology gives homeowners and designers alike an inside perspective on modern lighting trends. Get inspired by lighting industry design leaders like Tech Lighting, Edge Lighting, Varaluz, LBL and Sonneman. Innovative contemporary design is a hallmark of the brands we offer at Lightology, and the products in the videos represent only a snapshot of what you can find in our Chicago Showroom and on our website, Lightology.com. In the last two months, Lightology has partnered with top LED manufacturers, Edge Lighting, Pure Lighting and Philips Lightolier to teach Chicago’s architects and designers all about LEDs through educational seminars at our downtown Chicago showroom. Through these presentations, we’ve collected 5 helpful tips on LEDs that anyone can use to make sure they purchase the right LED for any project! Sponsored by the Department of Energy, the Lighting Facts Label is the ‘nutrition facts label’ for LEDs, providing a quick summary of product performance data. By introducing transparency to the lighting supply chain, the label guards against exaggerated claims and helps ensure a satisfactory experience for lighting buyers. Luminaire manufacturers who take the pledge agree to use the label to disclose performance results in five areas—lumens, efficacy, watts, correlated color temperature (CCT), and color rendering index (CRI)—as measured by the industry standard for testing photometric performance, IES LM-79-2008. 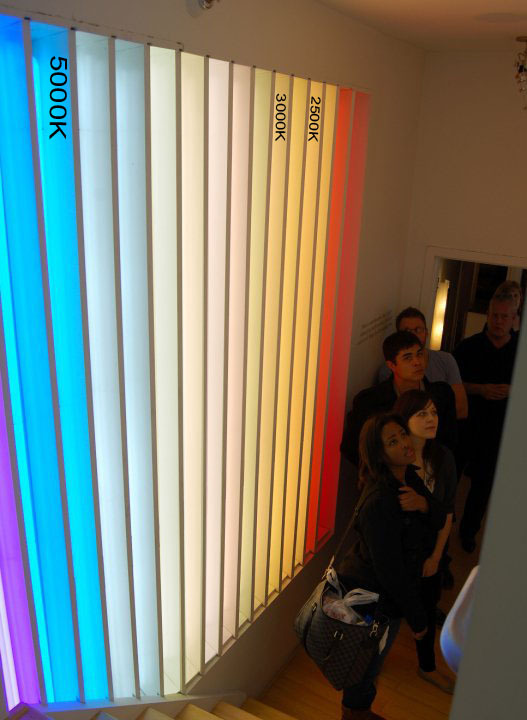 Color Temperature measures light color. “Cool” colors have higher Kelvin temperatures (3600–5500 K). “Warm” colors have lower color temperatures (2700–3500 K). These colors are charted on the Kelvin scale for you to use when choosing a light source. Many LEDs are developed with a color temperature of 2700K, which is the same as a standard incandescent, or 3000K, which matches the color of Halogen light. It is important to match the color temperature in all light sources when designing a space, otherwise the differences might be quite noticeable. This picture shows that the colors on the tissue box look better under LEDs with a higher CRI. 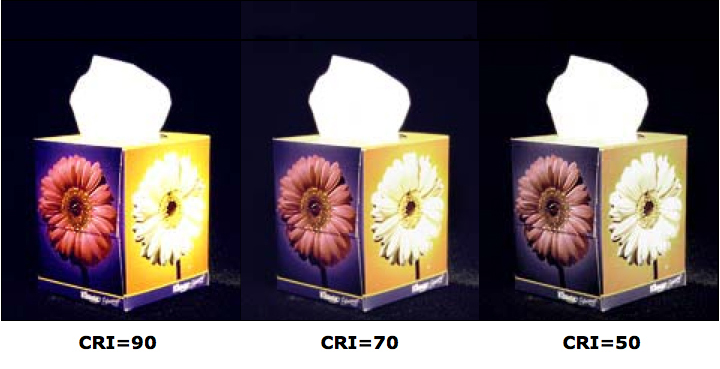 All three tissue boxes are lit under the same Color Temperature, only the CRI is different. CRI measures color accuracy, or more specifically, it is the effect of the lamp’s light spectrum on the color appearance of objects. Based on a scale from 1-100 (100 being the best), a low CRI LED will make colors in fabrics, paint and people look duller, less vibrant. It’s a great idea to place color samples from your project underneath LEDs with differing CRIs to help determine which LED looks best. Typically, a CRI in the mid-70s and up is acceptable for commercial applications. For residential applications, A CRI of 80 or above is preferable. 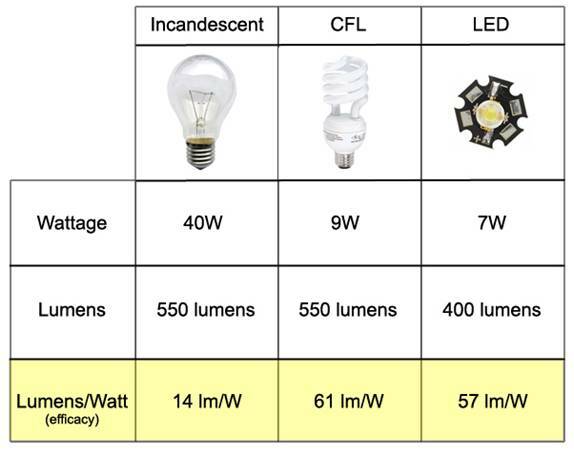 This chart shows the comparison in efficacy between an incandescent, fluorescent and LED light source. 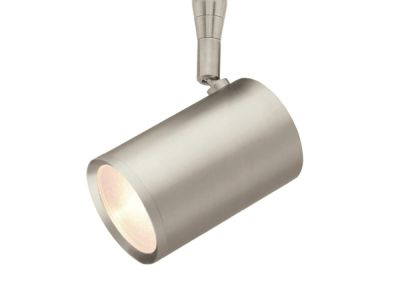 Lumens measures light output. The higher the number, the more light is emitted. Watts are ONLY a measurement of the energy required to light the product. The lower the wattage, the less energy used. Lumens per Watt is a way to measure efficiency, similar to the Miles Per Gallon you get in your car. The higher this number is, the more efficient your product is. The Scope LED Head uses aluminum as a heatsink to pull heat away from the LED, making sure it maintains the 50,000 hour lifespan. Heat plays a major factor in the lifespan of an LED. LEDs are a condensed point source that gets very hot, so an aluminum heatsink is necessary to dissipate the heat over a larger surface and keep the junction (where the LED meets the circuit board) temperature below 80°C. Running an LED just a few degrees too warm can shorten the lifespan of an LED up to 50%! A good rule of thumb is in an open air environment, the LED needs 2.5 square inches of heatsink for every 1 watt. Use Edge Lighting’s Scope LED as an example. At 9 watts, the scope needs 22 sq. inches of heatsink. 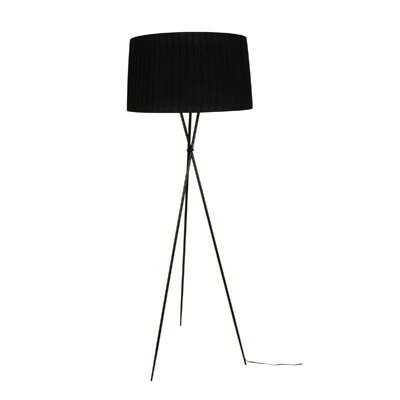 The cylindrical fixture is 2.24”W x 4”H. You use the formula below to determine the square inches of the aluminum fixture (the heatsink). 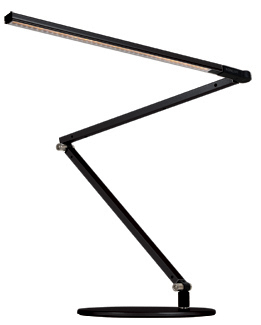 The Scope LED fixture exceeds the required amount of heatsink to guarantee LED lifespan. Keep in mind that enclosed fixtures, like recessed LEDs can require around 15 square inches per 1 watt, so the heatsinks on these fixtures will be much larger, but still hidden from view. Download a PDF of our Lamp Comparison Chart to see some of the basic differences between lighting options available to you. Bathroom Lighting is a crucial element of a good design simply because it is part of our daily rituals — grooming, shaving, applying makeup … the list goes on. And, we’ve all seen what bad lighting can do — harsh light and unflattering shadows do not make for pretty faces! 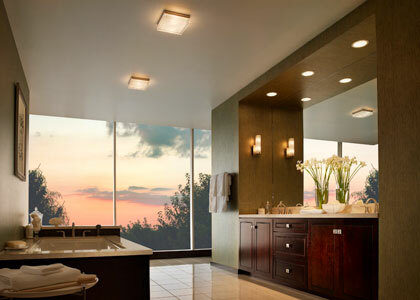 So, to help make sure your bathroom is fully loaded with the best lighting design possible, Lightology is sharing a few bathroom lighting How To’s, as well as a find the Right Bathroom Light Sale until February 28th to help make fixing up your bathroom lighting a little easier on your wallet. Bathroom Lighting starts with one simple idea: Think in Layers. 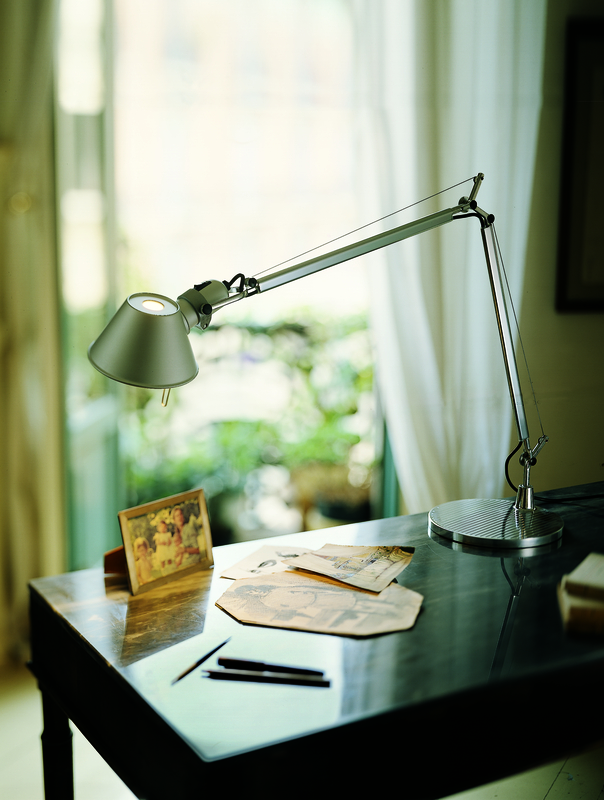 Task Lighting is best for highlighting a specific area, like a piece of art, a countertop, or in the bathroom, your face! To achieve the ideal quality of light for grooming, shaving and applying makeup, you must eliminate shadows on the face. 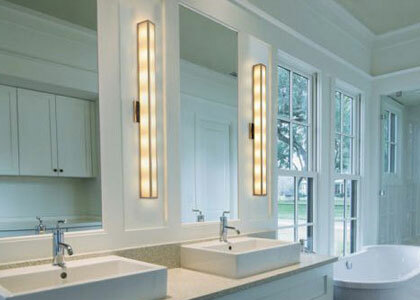 When using Wall Sconces, install two wall sconces on each side of your mirror, at least 30″ apart. The brightest portion of the wall sconce should be aligned with the face, or approximately 60-66″ above the floor. You can also follow these same guidelines using Pendants for a more modern look. See an example of pendants in the bathroom. General Light helps balance light output from all fixtures in the room while giving you diffuse, even light that illuminates the entire bathroom. To fill your entire bathroom with diffuse, general light, a ceiling light, like the Boxie or the Mint Round or Mint Square will do the trick. However, a ceiling light by itself leaves you with too much glare and shadows for a bathroom. 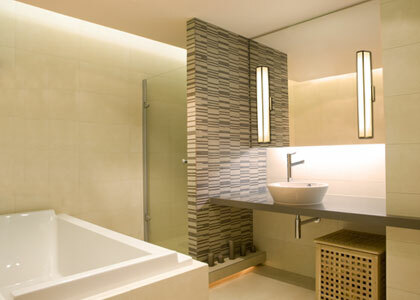 Make sure to complement these fixtures with additional sources of light to accomplish a layered, shadow-free bathroom. Accent Lighting adds eye-catching, dramatic light to a space but can also perform a practical task. For example, a toe kick light can also double as a path light — making middle-of-the-night bathroom trips easier and safer! Cove lighting and toe kick lighting are fantastic ways to add general light that is also eye-catching and dramatic. LED Soft Strip is an energy-efficient way to create this dramatic look.